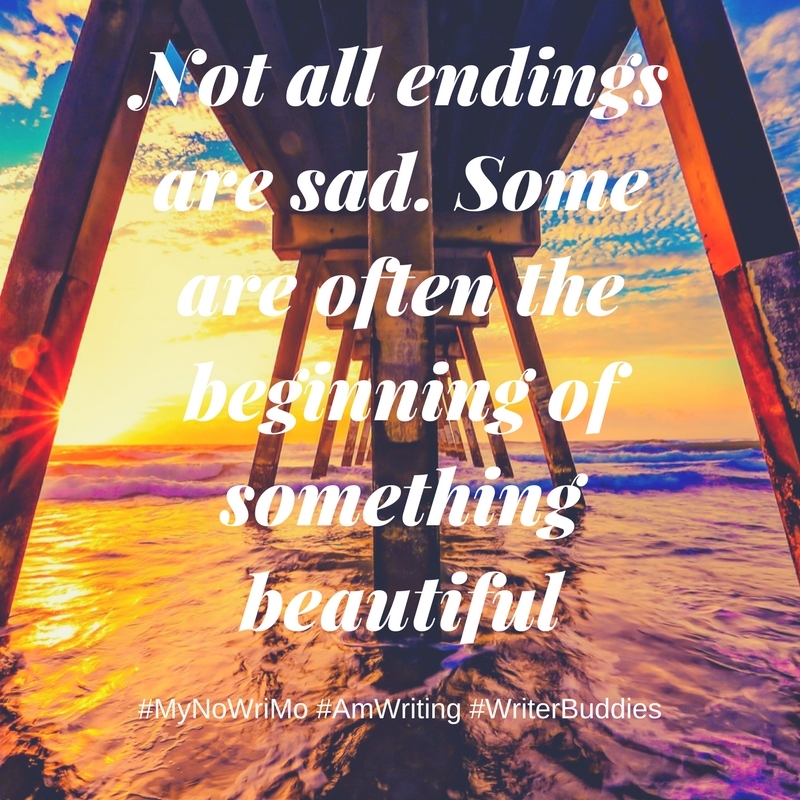 Adventures of a Writer: #MyNoWriMo Writer Buddies Pen 150,000+ Words in May! #MyNoWriMo Writer Buddies Pen 150,000+ Words in May! One month after we began the #MyNoWriMo initiative, we are a bunch of Happy Writers. We motivated ourselves and each other to kick procrastination and kickstart the daily habit of writing. It's amazing how despite our pretty hectic schedules we managed to find the time to indulge our passion. Along the way, we exchanged tidbits of information, learned from each other, celebrated our writing achievements and bonded over everything from love for cats to drooling over cakes! 30,000 words in 30 days (Actually a day less!). A month ago, I did not dream I'll be able to declare the early draft of my novella this soon. And what's more, I had delightful company all along the journey. I cherish each and every conversation we had over a variety of topics right from genre writing, self publishing, editing and even cakes and recipes! 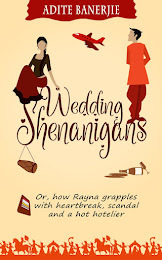 Further, it is a great case of Social media (dubbed as a distraction to writers) becoming an enabler in bringing committed authors together who in turn kept the motivation high. This peer to peer learning as well as bonding is something unique in the group among all the writer groups I have seen. 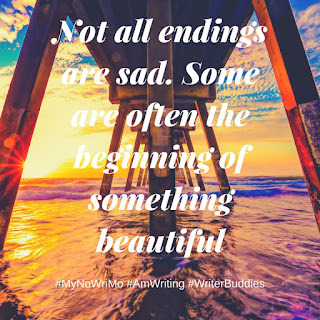 I'm glad I joined all these fabulous writer ladies for #MyNoWriMo because we spent the whole month motivating each other as relentlessly as we were typing away on our manuscripts. Different countries or continents, different genres, word counts and methods didn't matter at all - what mattered was checking in with each other daily in our Twitter group chat and cheering for each and every achievement. It was also lovely to just talk about things not directly related to writing and getting to know our writing buddies better. As I look back, the month has been pretty happening for me. There have been exceptional changes in my personal life but the only constant has been the motivation and inspiration from #MyNoWriMo. Fellow writers have been a great support. Despite the daily chaos at home I have been able to write most of the days. Wish we continue in the same pattern for days to come. Cheers! I joined the group in the middle of the month when schools had closed down for summer vacation and most of the kids had headed for vacation or grandparents visit. My family was doing none of it which meant I had added responsibilities. Keeping the kids busy. So I started the summer camp hunting and eventually ended up organizing my own summer camp for the kids for fifteen days. We had space mission, adventure trip, lemonade stall and post office visit and in all that my writing took a back seat. MyNoWriMo inspired me to write--at snail's pace--and I would only announce 50 words or 100 words a day but soon I was hitting my groove. The mini discussions on publication, marketing, plotholes pulled me back into writing again and finish my unfinished manuscript. Thanks to all the wonderful ladies for making the group so lively and fun. May 2017 will always be a memorable month for me. It will be one that stands for motivation and writer bonding. Starting on my new manuscript (and writing 25K words in a month was something that I could never have hoped to before #MyNoWriMo) and looking forward to continuing our association over the coming months. 'Coz writers always need that extra bit of motivation and "magical cake". And as all writers know, a good book deserves a sequel. So watch out for the next episode of our #MyNoWriMo adventures! buddy writers always help each other in motivating. Thanks for this lovely group. Inspiring! Hope to see the book out soon. Cheers and best wishes. Wow back at you, #MyNoWriMo Writer Buddy!